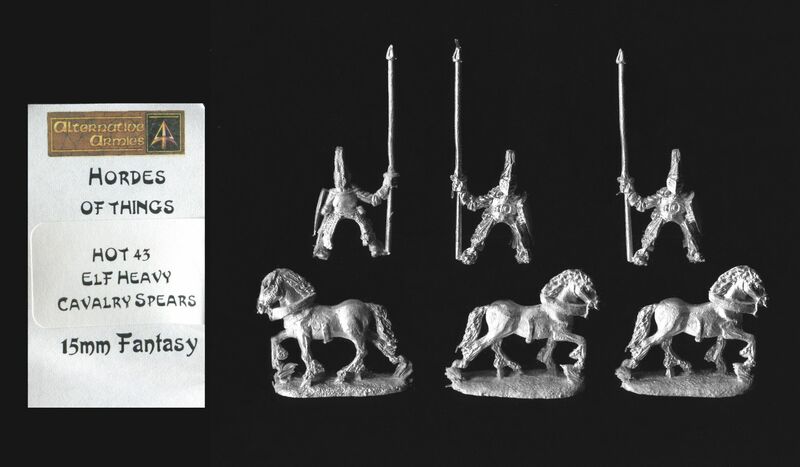 HOT43 Elf heavy cavalry with spear. 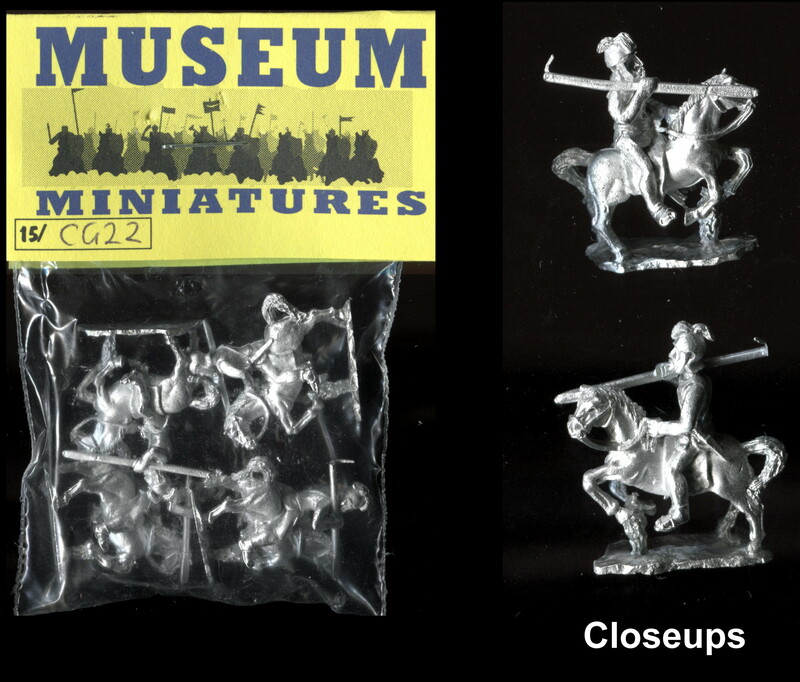 Three identical models mounted on identical unarmoured horses 18mm tall at the shoulder and 28mm long nose to tail. The armoured knight wears a helmet with closed visor and crest. He holds a spear/lance in his right hand and has a plain heater shield with rounded base boss on his left arm.